A unique pedal concept from mks. The xp-ezy features their 'ezy' removable pedal axle which allows the pedals to be quickly removed when the bike is not in use, making them ideal for folding bikes, bikes which must be stored in confined spaces etc. 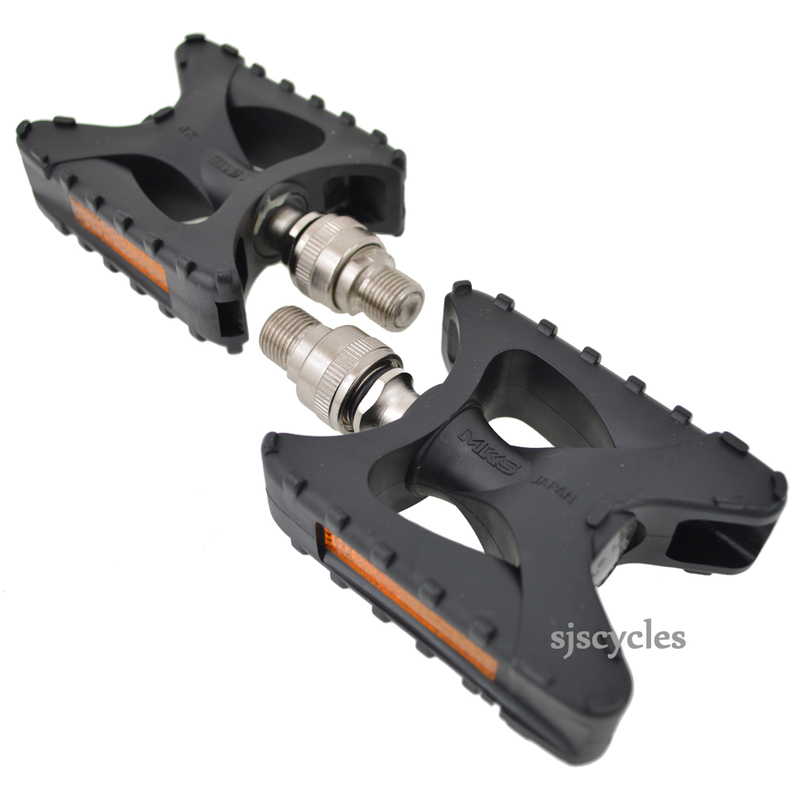 I bought these for my folding bike as a replacement for the supplied folding pedals. They are very well made, very easy to mount and remove, and you get a handy little bag to keep them in when they're off the bike. I don't know if I shall use the yellow plastic stopper rings which have probably been included on the instructions of the MKS legal department _ they do slow down the mount and remove process and it seems to me that, provided you check that the pedal has properly engaged with the mount, the pedal will not release by itself.